Before a few months ago, I had no idea just how easy it is to make British-style clotted cream at home. 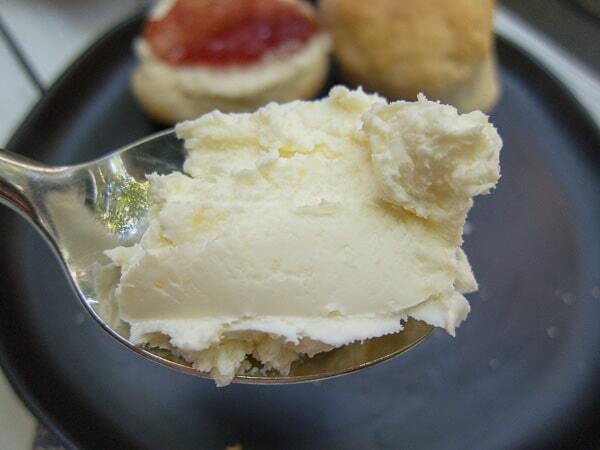 If you can pour cream into a dish, you can make clotted cream! The hardest part of the recipe? Waiting the 24 hours you need to bake, and then cool, the delicious cream before devouring it. 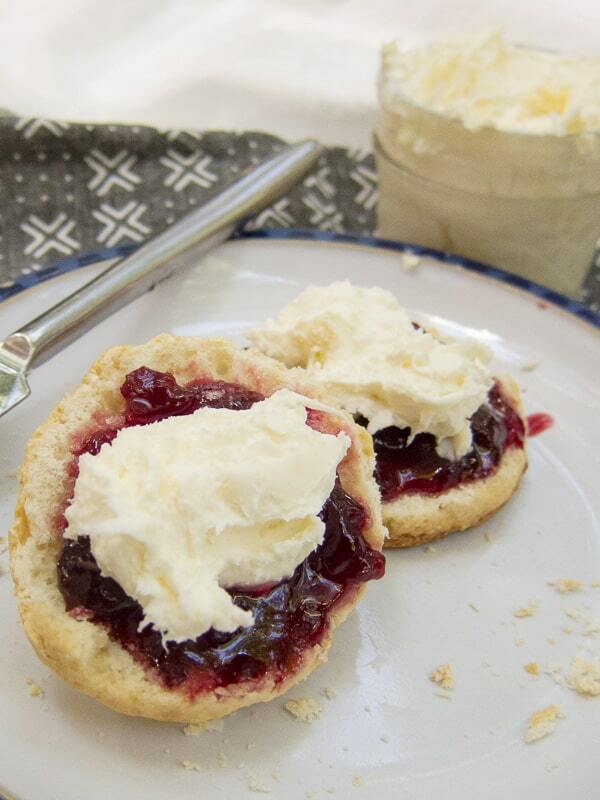 Some of you are probably salivating at the thought of slathering fresh clotted cream on a scone and then topping it with jam, while others are probably wondering, what in the world is clotted cream? What is clotted cream used for?! Don’t be put off by the name! Clotted cream, sometimes also called Devonshire or Cornish cream, is a thick cream that often accompanies scones in the UK. The slow heating and cooling process allows the cream to separate and for the “clots” to rise to the surface. Made from cow’s milk (well, cream) this is not a low fat food. 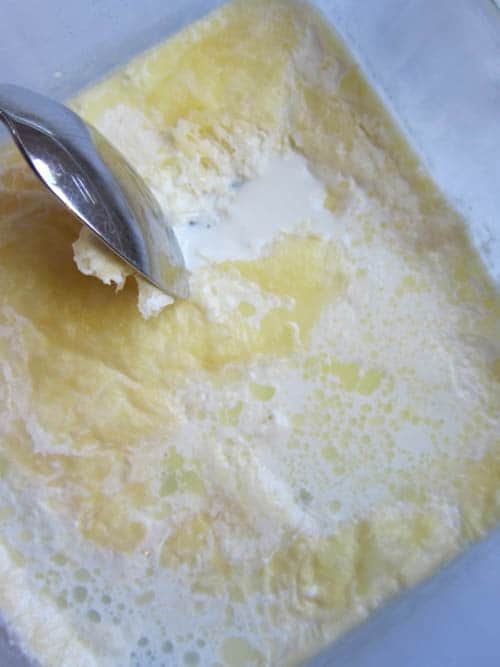 The texture and taste of clotted cream can vary, depending on the cream you use and how you bake it, as you’ll see via my experiments below. 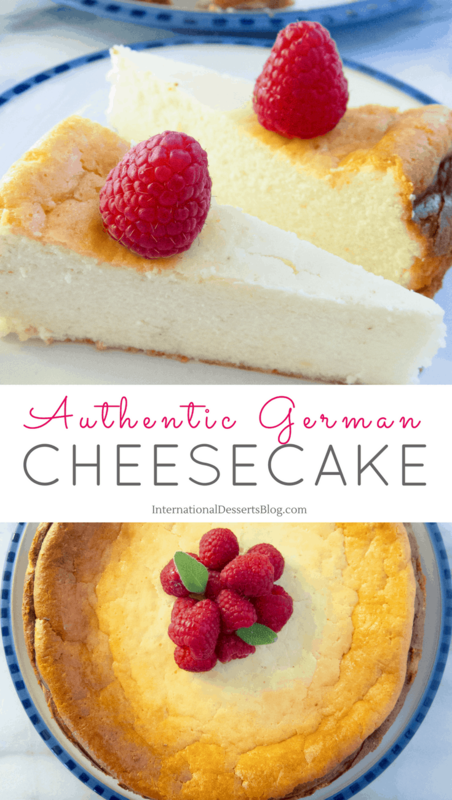 The taste is unique and not like anything we typically eat in the US – like a cross between butter and unsweetened whipping cream. 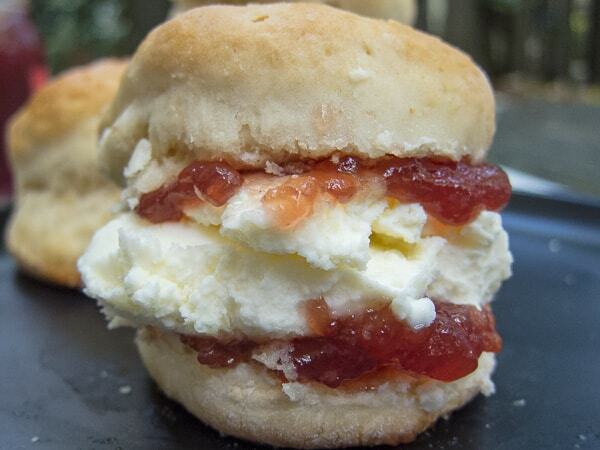 I highly recommend you just make some using my easy clotted cream recipe below and try it. 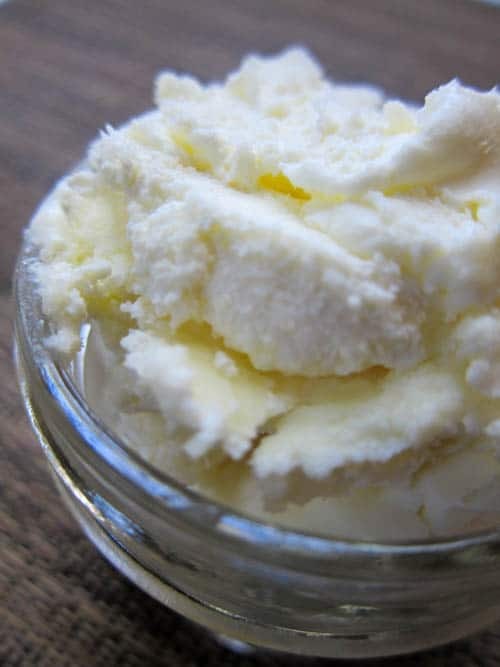 Another option is order a small 1 oz jar of clotted cream to try before making it at home. Clotted cream is absolutely delicious slathered on these currant scones. Clotted cream and scones are perfect for afternoon tea, birthday party, office party, shower, holiday party…or a delightful afternoon treat with a steaming hot London Fog or Fresh Mint Tea. 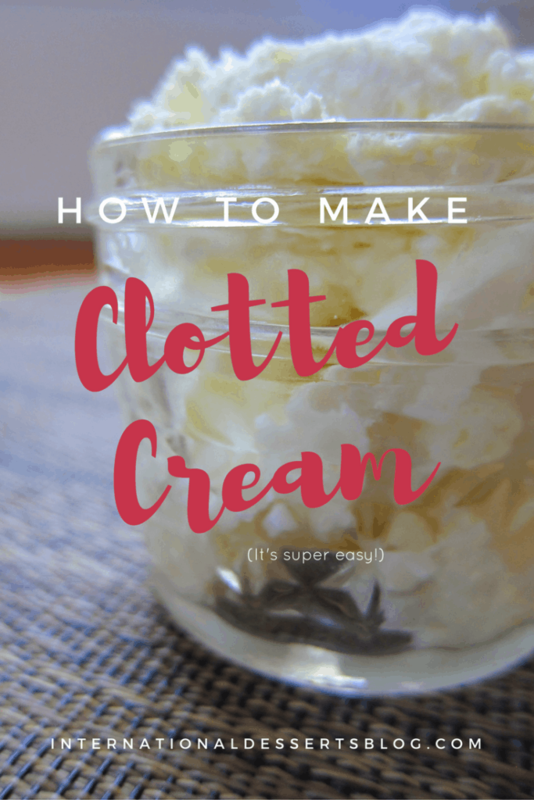 What to Do with Clotted Cream? 1 What to Do with Clotted Cream? 4 Rather buy clotted cream than make it? 5 And then add a jar of lemon curd…. 6.1 Move Over Sugar Cookies! Yes! Freezing clotted cream is easy, just put it in a freezer safe container. But I seriously doubt you have any left over to freeze. How many calories are in clotted cream? Do you really want to know that? It’s made from heavy cream so looking at the calorie count on the heavy cream you choose to use will give an idea. 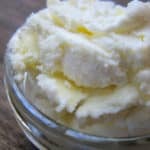 Can you make slow cooker clotted cream? Yes! I always make it in the oven but from what I’ve been told, you can use a slow cooker instead. Where can I buy clotted cream in the USA? Try Trader Joe’s, Whole Food or Wegmanns. Or grab a jar of clotted cream here on Amazon. Where can I buy individual portions of clotted cream? You can get little 1 oz jars of clotted cream right here. How cute would individual jars be for brunch, tea or a shower? Creme fraiche vs clotted cream…what’s the difference? While both are made with heavy cream, they are quite different. Creme fraiche is made by adding buttermilk, whereas clotted cream has nothing added to it. 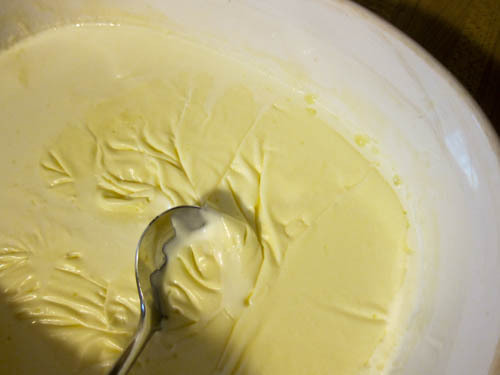 Creme fraiche develops by sitting at room temperature, while clotted cream needs to be baked. Creme fraiche is a “soured cream” that has a tang. 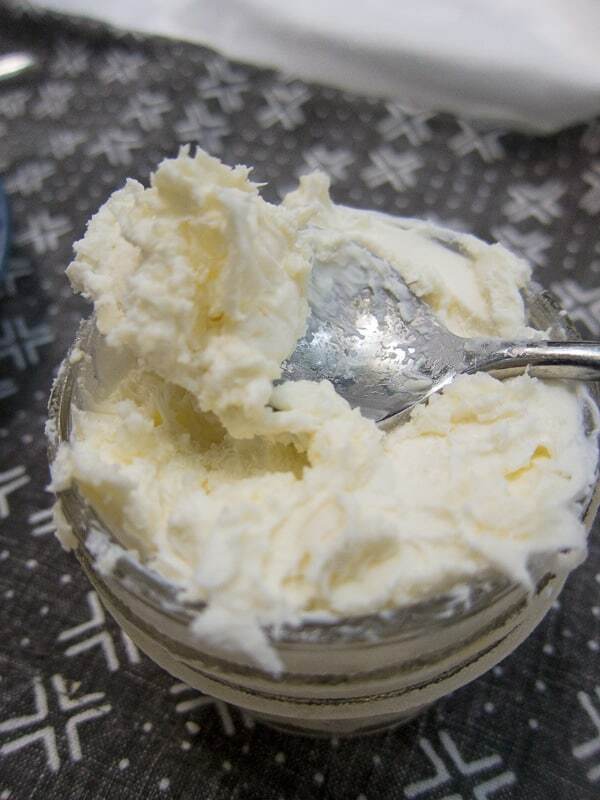 Clotted cream is more like butter or very thick whipped cream. 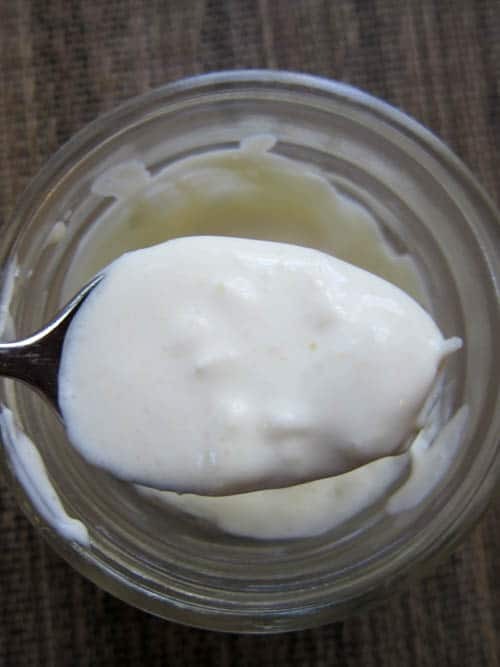 Click here for my easy creme fraiche recipe! The yellow stuff on top is the clotted cream. 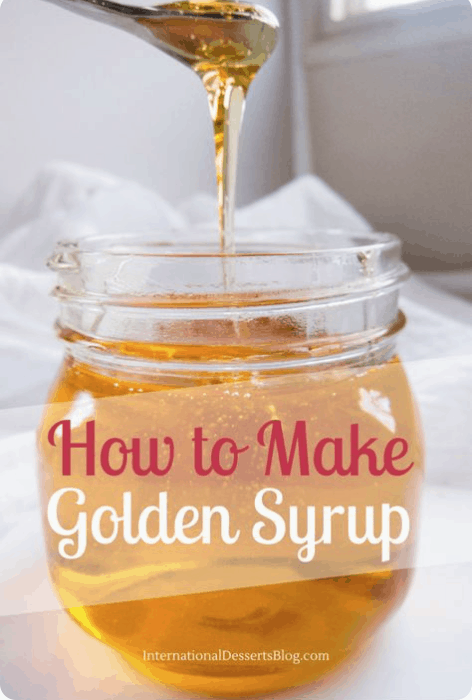 I spooned it into a jar and used the milky leftovers in a batch of scones. It’s always a good idea to make clotted cream the day before you want to make scones so you don’t waste any cream. For this round, I used a pint of heavy cream from Trader Joe’s – just the regular old heavy cream. Later I realized that it was ultra-pasteurized, which clotted cream experts advise against using. I found that it worked ok but I preferred the cream that was made with local organic pasteurized cream (see Round #3). This batch of clotted cream tasted good but was a bit gritty and had the worst texture of the three rounds. This batch wasn’t gritty…but it was soupy. You can see in the photo above that the texture was quite different from the first round. And the only difference was that this batch was covered in foil! I liked the taste of this batch, and it was smoother than the first, but it was a little too runny for scones. The first batch was too gritty, and the second too runny, but the third batch was perfect! The texture was buttery smooth, easy to spread on a scone, and delicious with jam. Success! The only downside to this batch was that only half of the cream clotted. That part was out of this world, but I was left with a small jar of liquid cream. I used it in other baking recipes, so it didn’t go to waste, but I was disappointed that this round didn’t make very much clotted cream. I’m thinking that one pint of the local, organic, pasteurized cream in an uncovered dish will be perfect. I’ll let you know! Update: I was right! I made another batch using one pint of organic, pasteurized cream (which I picked up at Whole Foods) in an uncovered dish and it turned out perfectly. I had a little bit of liquid left over, just enough for a batch of scones. Yum! 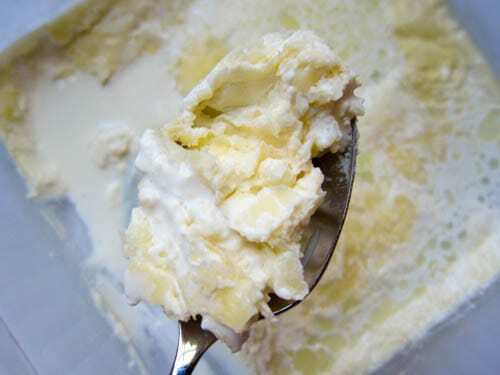 If you’d like to make your own clotted cream – and I encourage you to do so – here’s the very simple recipe. Your life will never the be same after making clotted cream. It's easy to make and delicious on scones! Heat oven to 180 F.
Pour heavy cream into a 9x9 pan. Place in oven. Bake for 12 hours. 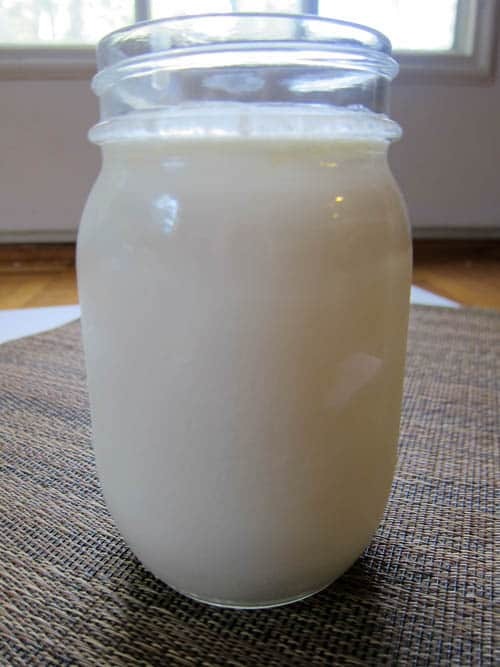 Spoon the thick parts of the cream into a jar or bowl and then chill in the fridge for 12 hours. Spread on scones and enjoy! For best results, use the highest quality cream you can. Use the left-over liquid cream in a batch of scones or other baked goods. 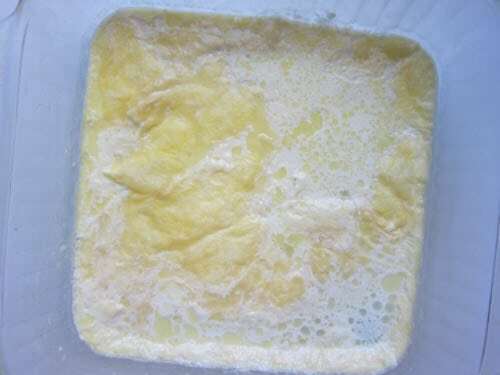 Clotted cream has a short shelf-life (3-4 days) but you can freeze it. 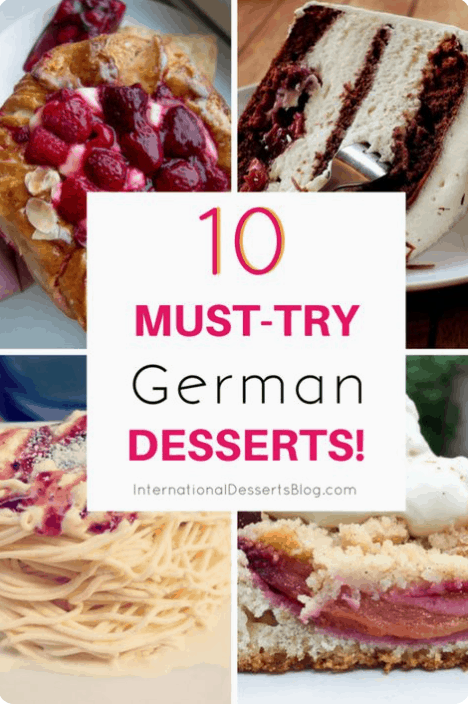 You probably won't have any left over, though! Rather buy clotted cream than make it? Click here to get a 6oz jar of English clotted cream. Click here to get a case of 12 or 24 1 oz individual portions of clotted cream. And then add a jar of lemon curd…. Click here to add a jar of lemon curd. Click here to add a jar of strawberry jam. 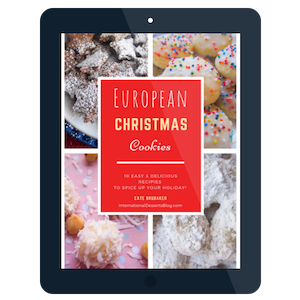 You'll love the 10 traditional European Christmas Cookies in my free ebook! Cate, I make clotted cream all the time and can tell you it freezes beautifully! Since about a half cup of clotted cream seems to be the usual amount of clotted cream that gets used at one of my afternoon tea parties, I freeze it in that size jars and just thaw one out when needed. Hi Jean! 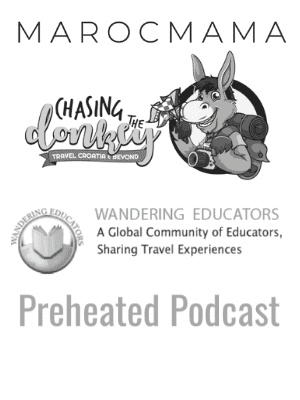 I’m so glad to hear that it freezes well. I’m going to make up another batch for the freezer so I’ll always have some on hand. Hi Angelina, I leave it in the oven for about 12 hours at 180F then in the fridge for 12 hours. How much clotted cream can you expect from a quart of heavy cream-I may be crazy but am having a 20 person tea party on Saturday so don’t have much time to experiment! A tea party sounds like so much fun! 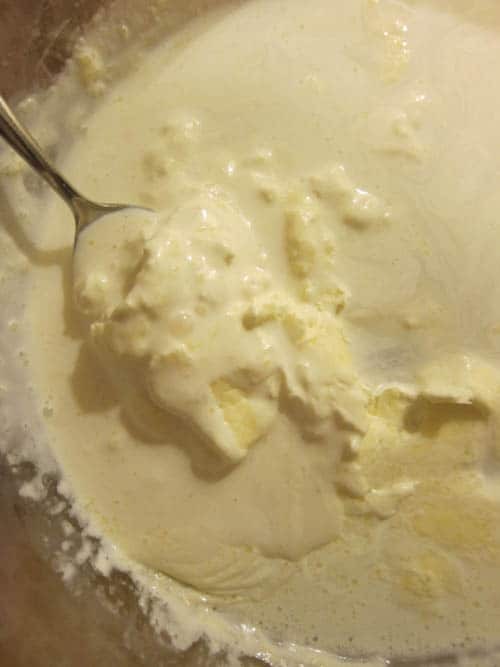 I usually get about 1/2 cup of clotted cream for each pint of heavy cream (sometimes a little more, sometimes a little less). So I’d think you’d get about a cup from a quart of heavy cream (it depends on how well it clots). To be on the safe side, for 20 people I think I’d make more than a quart, just in case (you can always freeze the leftovers) – or buy a jar to have on hand. Have a great tea party! I would be interested in hearing any more reports from people who have used ultra pasteurized cream. It’s a 45 minute trip from here to the nearest shop that “might” have the non-ultra stuff, which makes it hard to throw together a batch of CC on impulse. 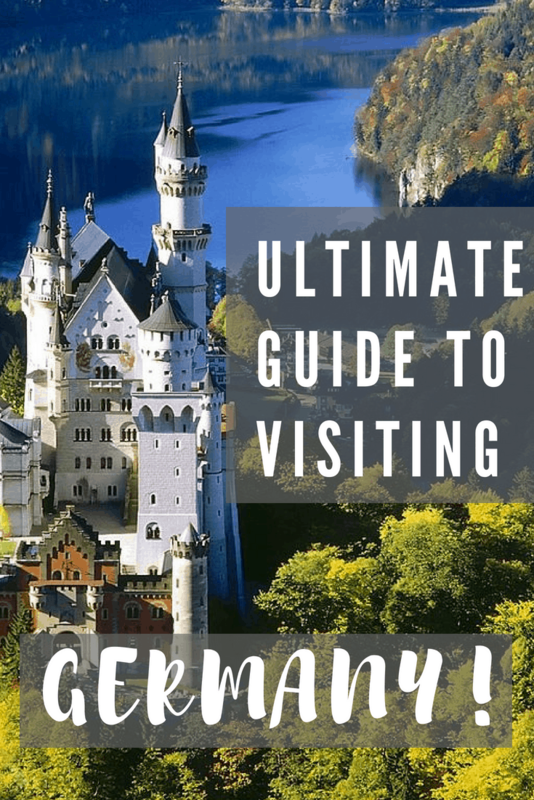 This is the only blog I’ve found where anyone seems to have actually tried it with the ultra, most of the others seem to be just repeating what they have read elsewhere, rather than actually take the time to try it. It would be interesting to hear that! I have to go to a special store to find the non-ultra-pasturized cream. 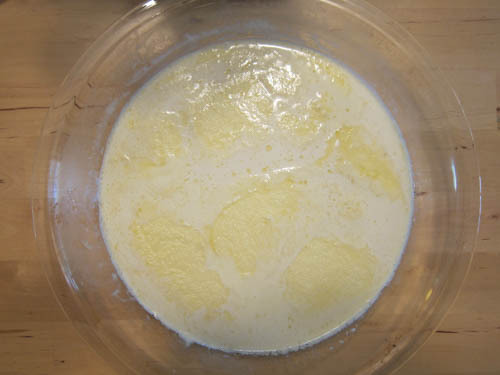 I’m making a batch of clotted cream later this week so I’ll give the ultra-pasturized another go and will let you know how this batch turned out vs. the non-ultra-pasteurized. I tried Trader Joe’s heavy cream last time so this time I’ll try a different brand and see if that makes any difference!